All kids have a destiny for which they were created. Every student, and indeed every person has been fearfully and wonderfully made in the image of God and has a divine purpose and calling. At Longmont Christian School we partner with parents to help students discover their calling by providing an education for the whole child; mind, body, and spirit. Within the anxieties of the modern era, we have a great opportunity, through education and a Christian worldview, to help raise the next generation of children to be salt and light. By teaching children how to think, not what to think, they will be able to problem-solve, lead, and thrive in the rapidly changing culture and economy of the 21st century. Our goal is to raise up young men and women of whom it can be said: ”And the king spoke with them, and among all of them none were found like Daniel, Hananiah, Mishael, and Azariah. Therefore they stood before the king,” Daniel 1:19. If you're seeking a school for your children, I invite you to schedule a tour, come to an open house, arrange a shadowing day for your child, or set up a time to have coffee with me and talk about the education, the nurturing environment, and the future LCS has to offer every student. 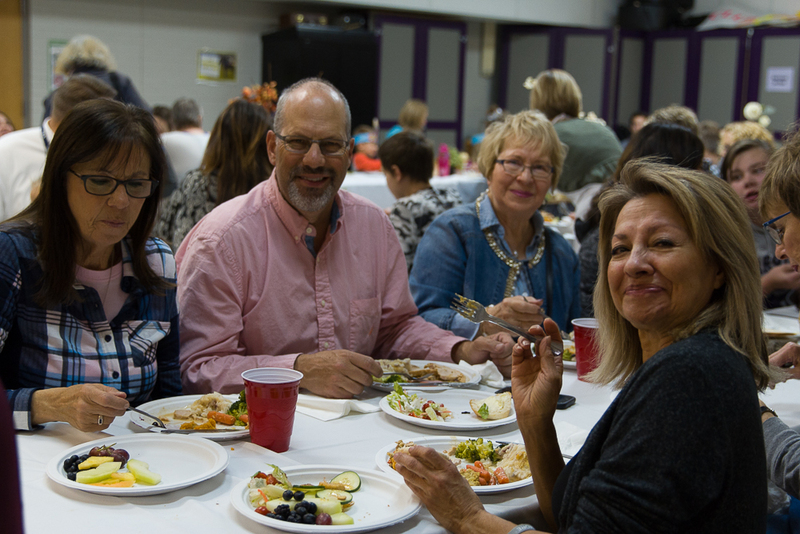 Mr. Stoecker and LCS office staff share a meal together at the LCS family Thanksgiving feast.